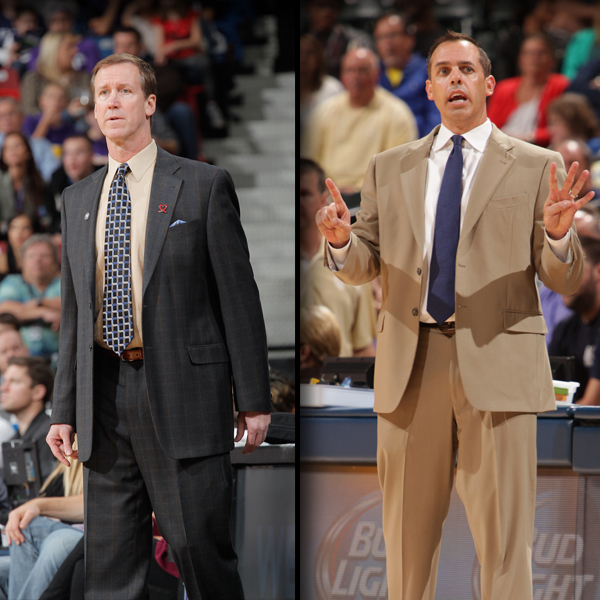 NEW YORK — The Indiana Pacers’ Frank Vogel and the Portland Trail Blazers’ Terry Stotts today were named the NBA Eastern and Western Conference Coaches of the Month, respectively, for games played in October and November. Vogel led Indiana to a 15-1 (.938) mark as the Pacers started the season 9-0 — the best start in franchise history and tied for the team’s longest NBA winning streak. The Pacers also went undefeated at home with a 9-0 record — the best home mark to start the season in franchise history. Indiana ranked first in the NBA in points allowed (85.6 ppg) and opponent field goal percentage (38.7). The Pacers also led the league in blocked shots (121) and outscored their opponents by an NBA-best 11.4 ppg. Stotts guided the Trail Blazers to a 13-3 (.813) record that included an 11-game winning streak, tying for the fourth longest in team history. The Trail Blazers also won seven straight road games, including sweeping a four-game road trip for the first time since January of 2003. On Nov. 1, the Trail Blazers posted their first win at Denver since December 2007 defeating the Nuggets 113-98; and on Nov. 15, Portland recorded its first win at Boston since March 2004, beating the Celtics 109-96. Other nominees for Coach of the Month were Houston’s Kevin McHale, the Los Angeles Clippers’ Doc Rivers, Miami’s Erik Spoelstra, Oklahoma City’s Scott Brooks and San Antonio’s Gregg Popovich.